Sagar grew up in Nepal and moved to Omaha, Nebraska in 1996 as a teenager. As a kid, Sagar's family didn't have a lot of money, but every time he got some change in his pocket, his number one priority was getting to the momo stand as fast as possible. 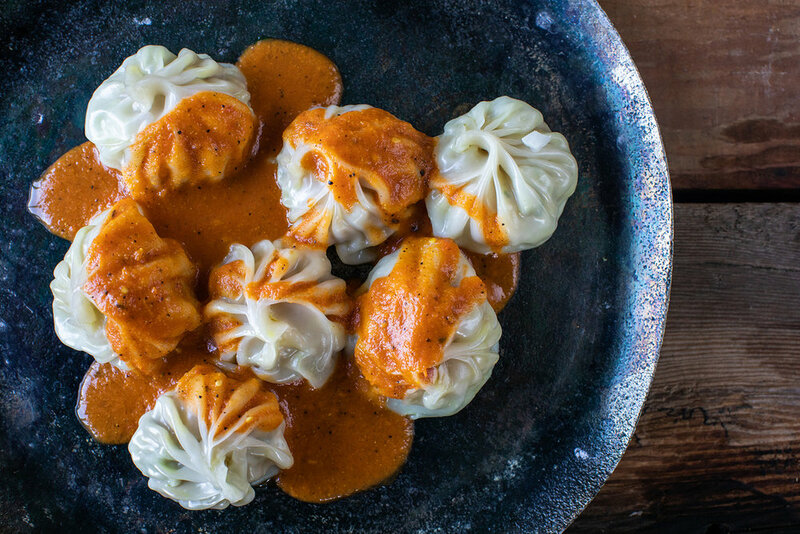 He told stories of sneaking away from his friends to indulge in a quick momo plate. Apparently, if his friends saw his secret stash of momos, they would "eagle dive" him, basically bombard him and steal all of his precious momos. Sagar owns Himalayan Java, a coffee shop in downtown Omaha specializing in Nepalese coffee. Some customers wanted to try some of his food, so Sagar started making momos at the coffee shop a couple of times a week. You can find them there, as well as at special pop-up events around Omaha, including a regular one at Scriptown Brewing Company in the Blackstone District. His pop-up brand name is Kathmandu Momo Station. Wrapping Style: Newari (ethnic group) or street vendor style. Dough for wrappers or you can use store bought wrappers. Finely dice the yellow and green onion. Combine in mixing bowl with ground chicken. Melt about 2 cups of butter and add to the same bowl as chicken and onions. Add curry spices and salt. Mix all the ingredients by hand or with a stand mixer. Cover, place in fridge, and let mixture sit over night. Wrap up the mixture in 3-4 in diameter wrappers. Pinch around the edges. Use a steamer pan and steam dumplings for 13-14 minutes. 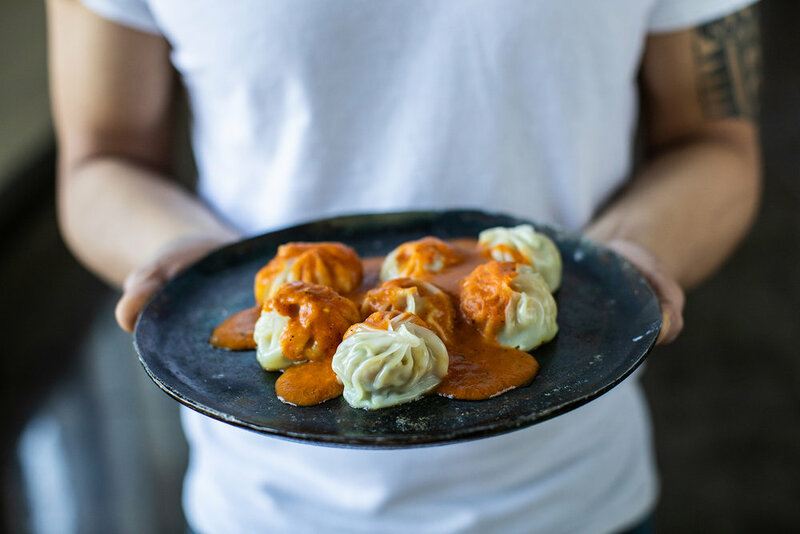 Pour sauce over momos and serve immediately. Take a shot at it...you could always use a store-bought sauce and get close!